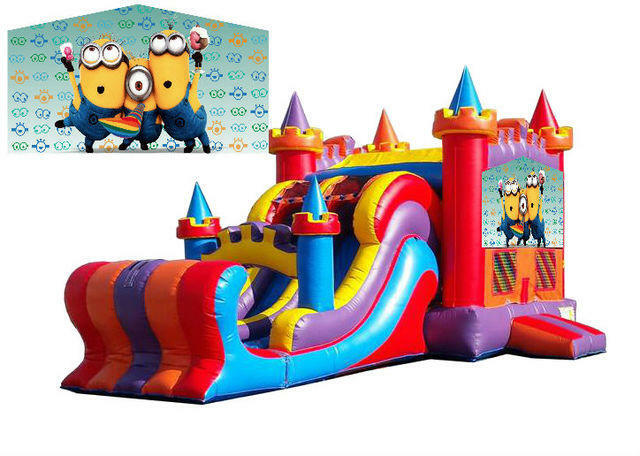 This Double Slide Minion Party Jumping Castle is sure to be lots of fun for any event. 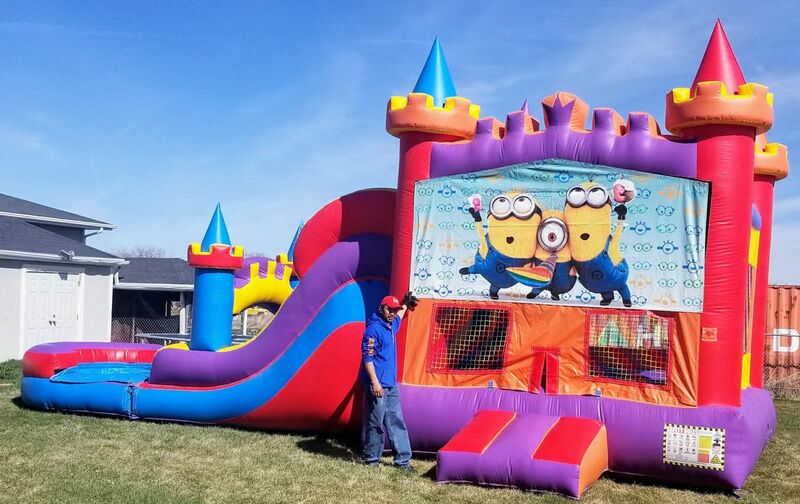 Even better with 2 slides,another great upgrade from the standard jumper and perfect for a Minion Theme Party, hours of bouncing, sliding and hoops fun await your lucky kiddos. The kids shoot hoops and bounce while waiting to climb up the top of the 10 foot high slide platform. BOOK IT TODAY! !